Hi everyone :) today's recipe smelled so good while we were making it, everyone wanted to go buy themselves some ice cold apple juice. 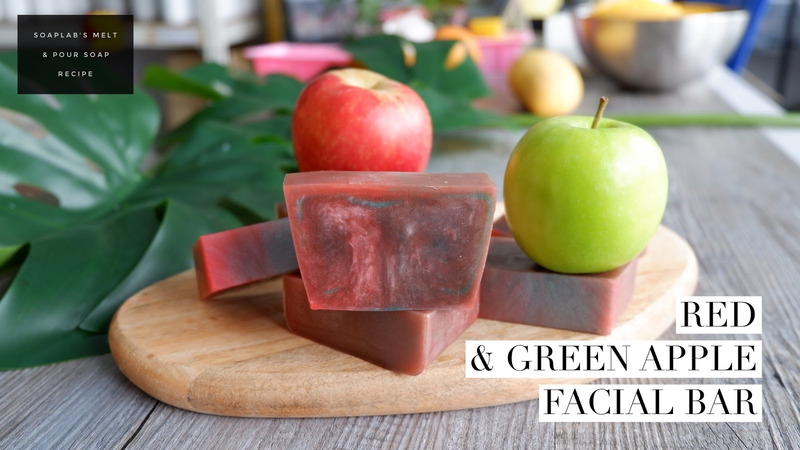 Yeppp, we juiced fresh green apples and instead of drinking them, used them to make soap! Here we use transparent aloe vera soap base to enhance this soap's skin soothing properties and perfect for our hot Malaysian weather. The apple juice contains high vitamin C levels that is an antioxidant to keep you looking young always. Apples also contain high copper content, something most people don't know. This helps skin produce melamin a pigment that then acts as a natural sunscreen, keeping you slightly more protected from the harsh sunlight! You know how when you buy those commercial soaps and youve got to read more than 10 lines of ingredients you don't understand; and trying to google each and every one of them.You no longer have to do that! Who has the time for that?? Make your own soap!